Scott-Long Construction did their due diligence at their new construction site by calling the free utility locating service, as required. The free service went to the job site and marked where the underground public utilities would be found. Scott-Long opted to also have UPI come to the site to verify all the utilities were marked, when it was discovered that the public utilities had been mismarked. UPI saved Scott-Long time, money, and project delays – a goal we are committed to accomplishing for all firms in charge of site work. Email us to get our crews out on your next project. Prince William, VA – April 30, 2018 – UPI (Utility Professionals Inc) is pleased to announce the launch of our new brand, logo, and a renovated website. In its fourth year of business, UPI is a well-established subsurface utility engineering (SUE) firm. The brand is intended to match the firm’s credibility. Each aspect of the new branding symbolizes how business is conducted at UPI. The bright colors and distinguished fonts represent liveliness, energy, and clarity—the same approach taken with all projects. “I am confident our updated presence will help better connect our clients and contacts with our company, strengthening relationships and fostering continued growth,” says Jeff Smith, President of UPI. To view the new look of UPI, visit www.utilityprofessionalsinc.com. UPI (Utility Professionals Inc) was founded in 2014 and is a thriving utility locating business serving the Virginia, Maryland, and DC area. 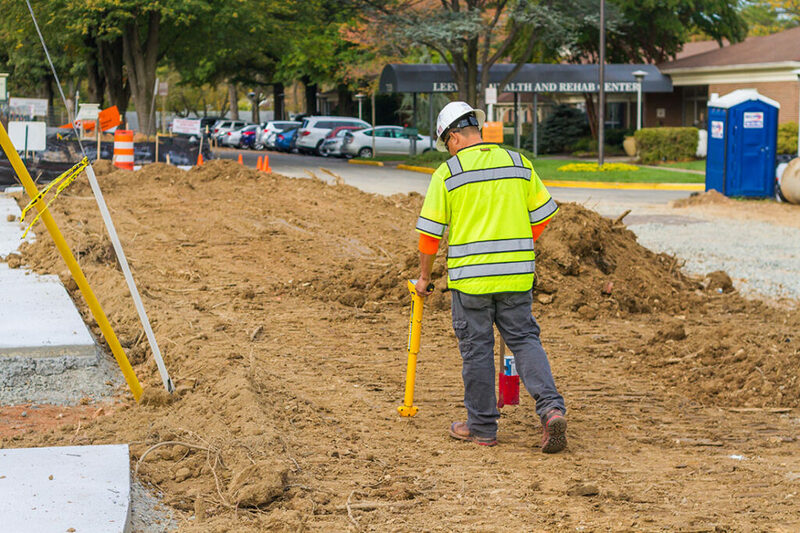 We offer Subsurface Utility Engineering (SUE), utility designation, and utility mapping of underground utilities. UPI also performs records research prior to any utility mapping or designating. We use innovative technologies and equipment to detect the presence of subsurface utilities and mark the horizontal position on the ground surface. Our services follow the standard of the American Society of Civil Engineers (ASCE) C-I 38-02, Standard Guidelines for the Collection and Depiction of Existing Subsurface Utility Data. Quality Level D provides utility records research and/or as-builts for the vendor or county/city research. This is preliminary work when you just want to know what companies have underground utilities within your site. Obtaining plans from utility companies on your own can be time-consuming and frustrating. UPI already has relationships with local utility companies and we have the appropriate contacts needed to get plans—getting the information into your hands that much quicker. Quality Level C is also preliminary work and identifies above-ground features such as pedestals, transformers, switches, fire hydrants, etc. This information is useful if you’re expanding your building and need to know what is conflicting and needs to be moved. Quality Level B is the most widely used. This is when we’re out in the field utilizing advanced equipment to detect the underground utilities and putting paint marks on the ground. Quality Level B should be used on any type of project that involves excavation or simply needs accurate utility mapping in a given area. A special service UPI offers is a comprehensive, easy-to-interpret deliverable that maps out all of the underground utilities. We provide the deliverable in PDF and CAD, so your project manager can use it when developing the site. It’s also a great resource to hang in your construction trailer during construction. Having the deliverable also means you have a record of what’s in the ground in case construction doesn’t start for several months. Quality Level A is the most involved service that entails test pitting. UPI currently facilitates this service through a subcontractor, however, we are on-site for the duration of test pitting to assist with any complications. We also provide a test pit report to clients that details exactly where the utility is in the field, the depth and elevation we measured, a Northing and Easting to compute to CAD form, and more. For any more information on the SUE quality levels we provide, or to get a project started with UPI, give us a shout at (703) 334-5657 or fill out our RFP form, and we will respond back in less than 12 hours. Utility Professionals Inc (UPI) is pleased to announce that Michael Lund, EIT, has joined the firm as Group Leader. 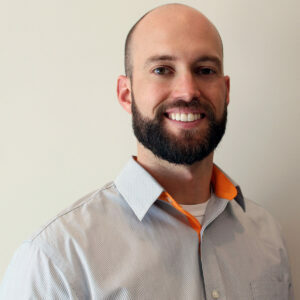 Michael brings his knowledge of engineering and utilities to UPI, as well as his experience managing projects throughout Northern and Central Virginia for Dominion Energy. He has a demonstrated history working in utility design, reliability, and sustainability. Michael holds a B.S. in Mechanical Engineering from the Virginia Military Institute, as well as experience as a Platoon Sergeant and Fire Team Leader as a Combat Engineer in the U.S. Marine Corps. Michael will partner with UPI’s clients on projects throughout the Washington Metropolitan Region. Michael’s extensive experience in project management, quality control, and utilities makes him an asset to UPI, as well as to our client’s success. Please join us in welcoming Michael! (Manassas, Virginia, February 4, 2014) We are pleased to announce the launch of Utility Professionals Inc (UPI) effective January 2, 2014. UPI is a startup subsurface utility engineering (SUE) company providing a full range of subsurface utility locating, utility designation, surveying and mapping services. UPI was created to provide enhanced SUE services to their valued clients, which are private and public sector organizations throughout Northern Virginia, Maryland, and the District of Columbia. UPI is a multi-disciplinary company focusing on services related to utility infrastructure. The company’s services include utility research, utility designation and interpretation, geographic information systems (GIS), and data management to the design and construction industries. UPI’s services follow the standards of the American Society of Civil Engineers. UPI was founded by executives at christopher consultants, ltd. The founders saw a need in the market for higher-quality, more reliable and efficient SUE work. UPI was built on a history of good work and knowledge of the SUE industry. The company is headquartered in Manassas, Virginia, and is led by President Jeff Smith, LS, PS. More information about UPI can be found at www.utilityprofessionalsinc.com or by contacting Chris Fillmore, Vice President of UPI, at (703) 334-5657. © 2019 Utility Professionals, Inc. Thank you for your request. UPI will be in contact with you shortly.